Starr is introspective, protective, and a mother-goddess. 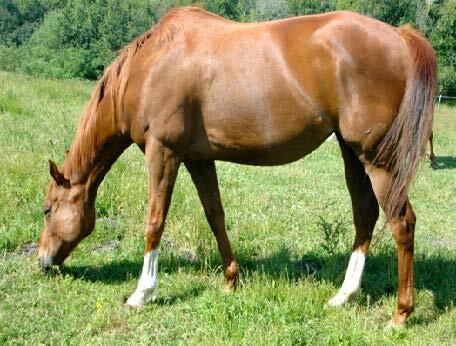 Before her arrival at The Flag Foundation, Starr was a broodmare who had birthed two foals. Her former owner sent Starr, who was pregnant at the time, along with her pregnant friend Skye to auction to reduce the size of his herd. Neither horse was bought at the auction and was likely to be slaughtered. Thankfully, a southern California horse rescue contacted The Flag Foundation about the pair and we graciously accepted them. In May 2006 Starr birthed a filly, who we named Confieme (aka Emie) and is also a member of our herd.